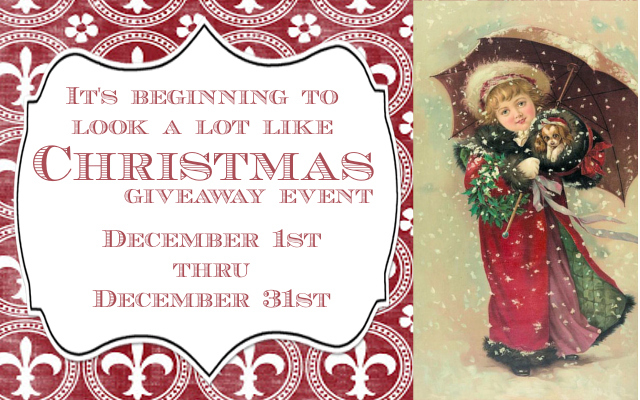 Check out the giveaway: Its Beginning to Look a Lot Like Christmas! I’ve donated a matching set of 1 bracelet, 1 pair of earrings, and 1 pair of beaded bobby pins! YOU CHOOSE THE COLORS! Here is an example of what I am offering! 2 different style options for earrings. Large or small seed beads for your beaded bobby pins. A mix of colors and bead sizes for your memory wire wrap bracelets. And here is where you can ENTER THE GIVEAWAY at FromADaughter blog! This entry was posted in Art, Jewelry and tagged ad space, blogs, bobby pins, christmas, december, fromadaughter, gifts, giveaway, handmade, jewelry, memory wire, seed beads, style on December 1, 2012 by christinapertz1.